Welcome to a new feature on House & Hammer, where we explore some of the quirky features found in old homes — what they are, the history and purpose behind them, and what, if anything, to do if you see them in your house. 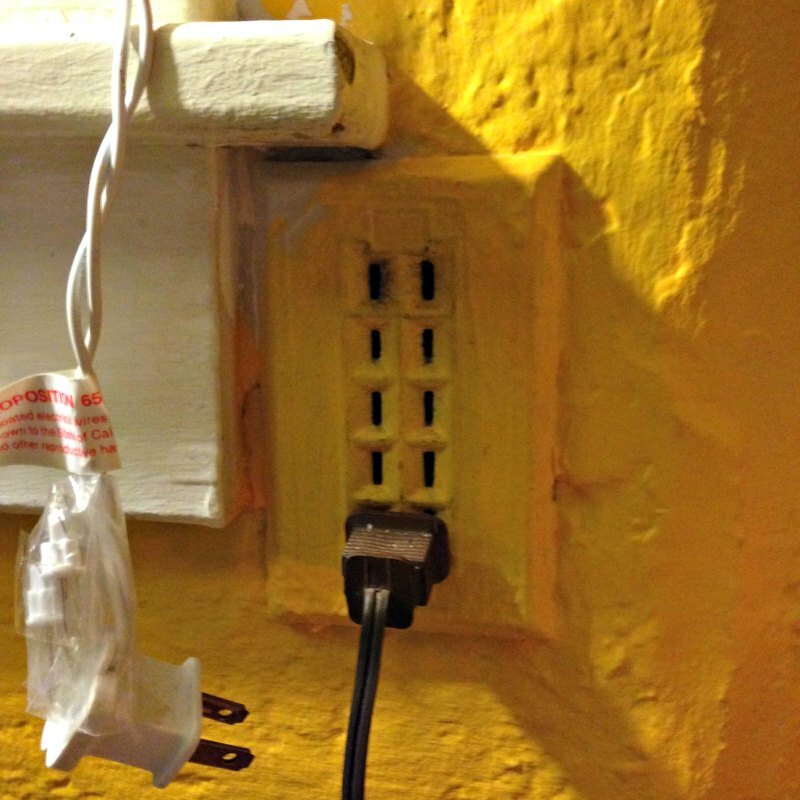 Quirks like this incredible five-plug outlet, for example. I found this in the lovely Craftsman-style bungalow we rented in Berkeley, Calif., during our February vacation. The house, built in the early 20th century, had a lot of original or very old features, including a clawfoot tub and an awesome old stove that I’d peg from maybe the 1940s or ’50s. 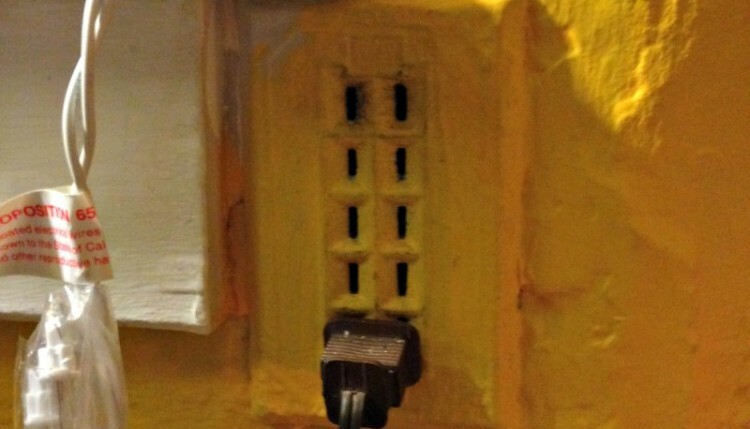 From what I can tell, this type of outlet or something similar was first patented in 1938 by George Benander, so it probably wasn’t original to the house. It was intended for convenience — like an old-time power strip – so you could plug in a couple of lamps and your radio at the same time. He explained to me how the grounding process works and why it’s so important: The third prong essentially draws excess current away safely, literally into the ground. Without that grounding effect, electricity can build up in a metal appliance such as a toaster or even a laptop, especially if a wire comes loose inside — and give you a pretty serious (even fatal) zap when you touch it and ground the current yourself. These days, modern building codes require (grounded, of course) power outlets on every wall — just about every few feet, in fact. But if you own an older house or have ever lived in one, you know that power outlets can be pretty hard to come by. We had just one lonely outlet in our entire bedroom before we added an extra one on the other side of the room. This could have come in handy since we always had to juggle between clock radio, lamp, and phone charger! Got an old-house quirk you want to know more about? Send me a photo and any info you’ve got to work with (jongorey at gmail) and I’ll try to get to the bottom of it in an upcoming post!